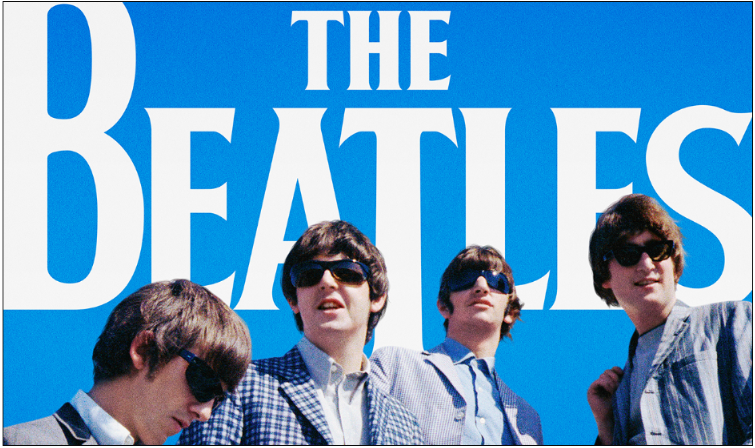 This week, I watched Ron Howard's new documentary titled The Beatles: Eight Days a Week. The film examines the group in the context of their touring years, and it's a compelling narrative of pluck and luck. I laughed, gasped, and surprisingly, spotted parallels with today's business world. In honor of the movie's title (a reference to the song), here are 8 business lessons we can glean from The Beatles' touring years. When Brian Epstein, manager of the NEMS record store in Liverpool, heard about a raucous new band attracting large crowds at the Cavern Club, he knew he had to check them out. Instantly, he was taken by their talent and charisma, but their scruffy look left much to be desired. After he became their manager, Brian helped the group clean up their image, taking them to the tailor for what would become their iconic Beatle suits. He showed them how to act with class so they could appeal to a wide audience. 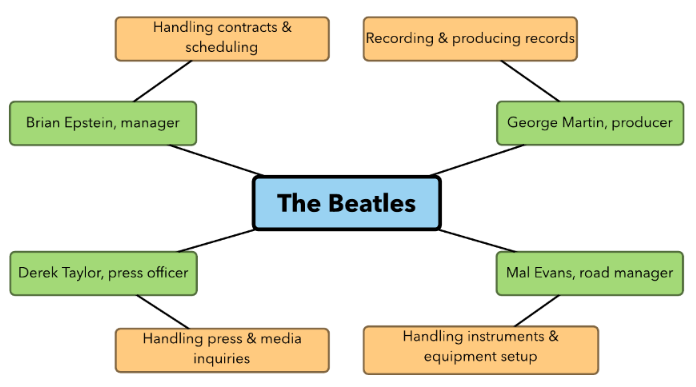 Other people became trusted members of The Beatles' inner circle, including a few outlined below. They helped the group tour professionally and to stay together as a team even when things got rough. In business, having trusted advisors and partners can help you stay on the right path. 2. ...but get an expert to review your contracts. The Beatles were not savvy businessmen. Unfortunately, neither were many of the people in their inner circle. As George Harrison put it in 1965: "I'm not really the most-interested-in-money Beatle. [...] We sit at accountants' meetings, and we are told we have got 2 and a half percent of this and 4 and a half percent of that, and that is confusing and boring and just like being back at school. [...] Believe it or not, we still haven't got a terrific amount of money in real capital." Because they were so inexperienced and, frankly, uninterested in the details, The Beatles were taken advantage of when it came to business contracts. From merchandising to touring to, most famously, the rights to Lennon/McCartney compositions, The Beatles received far less money than they generated due to poor contract deals. In business, it's a mistake to assume that others have your best interests in mind, and it pays (literally) to scrutinize deals and contracts with an unbiased professional. Despite the unprecedented mania of teen fans and the constant "When will the bubble burst?" questions from the press, The Beatles kept their focus where it mattered: consistently making great music that they were proud to play. They didn't get hung up on whether they were a cultural icon, or what their music would mean in 50 years. They lived fully in the present—and the energetic, youthful quality of their work shows it. "What place do you think this story of The Beatles is going to have in the history of Western culture?" "You must be kidding me with that question. Culture? It's not culture." In business, it's easy to get caught up in what your most ardent supporters want or what your critics say. The best course is to stay focused on your mission. 4. ...but be willing to take risks. It would have been easy for The Beatles to continue being a pop group that sang simple love songs, but their star would have burned out much more quickly. Because they were willing to experiment and grow, the latter half of their career was artistically brilliant. 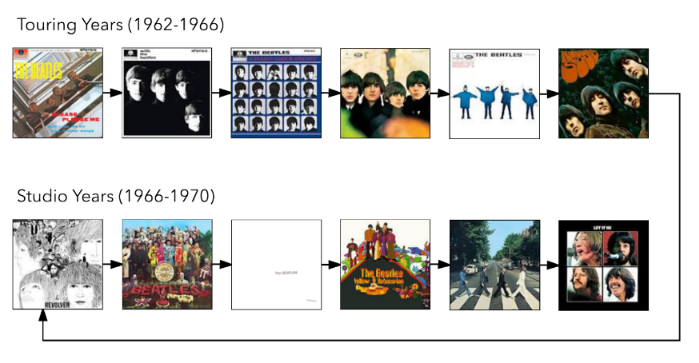 Though it didn't catch on right away at the time (fans were ambivalent about Rubber Soul at first), today the later Beatles albums receive nearly universal acclaim. The group trusted their gut, challenged their skills, and made some of our culture's most beloved music. In business, it's likely that your organization will grow and evolve over time, and that's completely natural. Give your audience some credit—change might be hard at first, but they'll soon grow along with you. The Beatles toured the world, visiting America and several countries in Europe. However, 1966's mini-tour of Asia brought controversy based in cultural misunderstandings. In Japan, the group played at the Nippon Budokan, a martial-arts arena which had never hosted a rock concert before. Some citizens protested the concert, on grounds that it was disrespectful to have a foreign pop group perform in an arena dedicated to traditional Japanese performances. To maintain a safe and respectful environment, concert security forced fans to stay in their seats. This made for a subdued atmosphere with far lower energy than The Beatles were used to, and even they admitted it sounded terrible. Perhaps a different venue would have produced better results. Even worse was drama in the Philippines that led to the group being spat on and beaten as they tried to leave the country. The first lady, Imelda Marcos, had invited The Beatles to a breakfast reception. As manager, Brian politely declined, which he normally did with invitations of this type. However, the Marcos regime was not used to hearing "no," and interpreted the group's absence as a snub. The "snub" was broadcast on radio and TV, much to The Beatles' surprise, and support for the band evaporated. Without police escorting, members of their entourage were hurt as they made their way from the hotel to the airport. They finally made it on board, shaken and scared. If Brian had understood the cultural consequences of Marcos' request, he likely would have answered differently. These missteps occurred during an early period of globalization. In today's multicultural business world, it's more important than ever to pay attention and do your research before entering a new market. 6. ...and apologize for your mistakes. "Christianity will go. It will vanish and shrink. I needn't argue about that; I'm right and I'll be proved right. We're more popular than Jesus now; I don't know which will go first—rock 'n' roll or Christianity." "When they started burning our records… that was a real shock. I couldn't go away knowing I'd created another little piece of hate in the world. So I apologized." We all make mistakes. In business, it's important to recognize that your customers deserve honesty, especially when you mess up. Apologizing is the first step to making things right again. During the mid-60s when The Beatles toured the US, the Civil Rights movement was in full swing. Segregation was outlawed in 1964, but many public spaces still separated white and black people, including concert venues. The Beatles did not agree with this practice, and they made it clear in their business dealings. According to their touring contracts, The Beatles would "not be required to perform in front of a segregated audience." This nearly led them to cancel a concert in Jacksonville, Florida, until city officials relented and the stadium was integrated. Many stadiums and concert venues across the American South followed suit. In business, your personal values shouldn't go out the window. If causes are important to you, stand up for them in your day-to-day dealings. You never know what change you might inspire. 8. ...and know when it's time to quit. Although touring was lucrative for the band and gave thousands of fans the opportunity to see them, by 1966 The Beatles felt that none of them were enjoying the ride anymore. Their sound wasn't improving, because there was no time to develop and grow. After completing their last American tour, they called it quits—but that wasn't the end of their story. This decision gave them room to breathe and explore, as they went back into the studio to produce what would become one of our culture's greatest albums: Sgt. Pepper's Lonely Hearts Club Band. This marked a new era for the group, where they experimented with new sounds and continued to break ground for the rock groups who came after them. It's likely your business will have to make tough decisions. Should you discontinue a product, or terminate a partnership? Though certain people might be disappointed in the outcome, preserving your business and clearing the road for future success is far more important. It's not always easy to make the right choices in business. Even in meteoric rises to fame, there will be great successes and grave missteps along the way. As a marketer, it's comforting to me to know that even the most famous band in the world could've used a few pointers in their heyday. Plus, I made it through this entire post without making any Beatle puns—and I feel fine. Love The Beatles? Check out this awesome "Hey Jude" flowchart, made in Lucidchart.